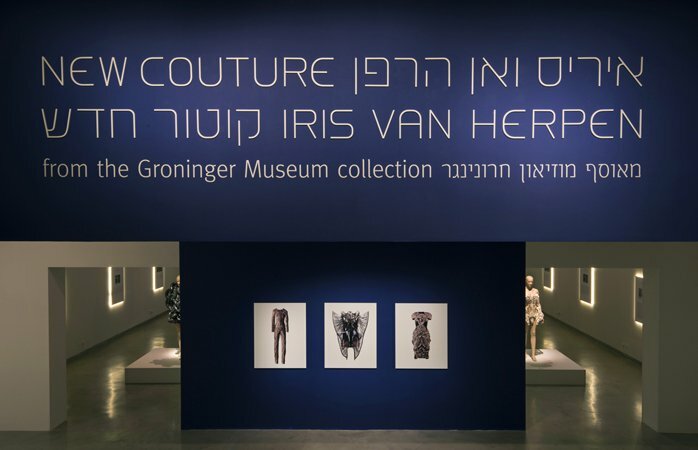 Out of town visitors are the perfect excuse to play tourist in your own city, and thanks to my parents' Tel Aviv stay last week, I finally made my way to the Holon Design Museum. 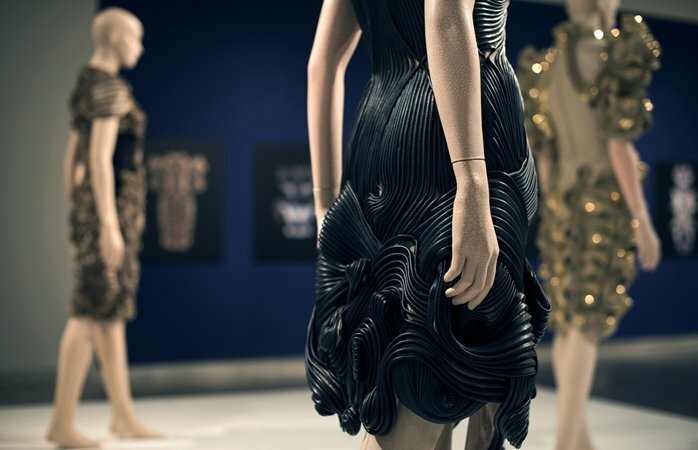 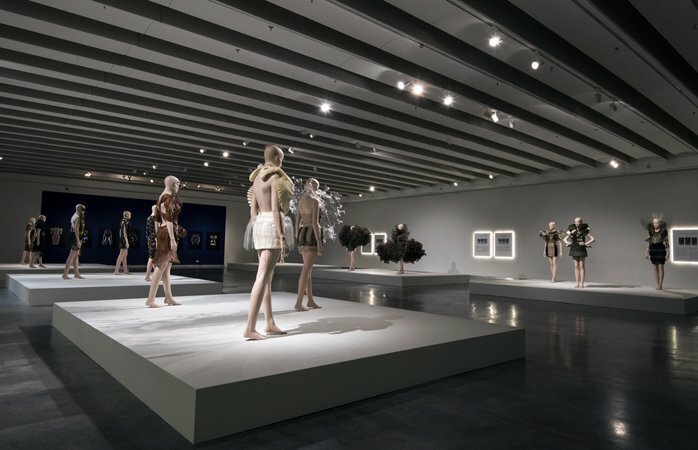 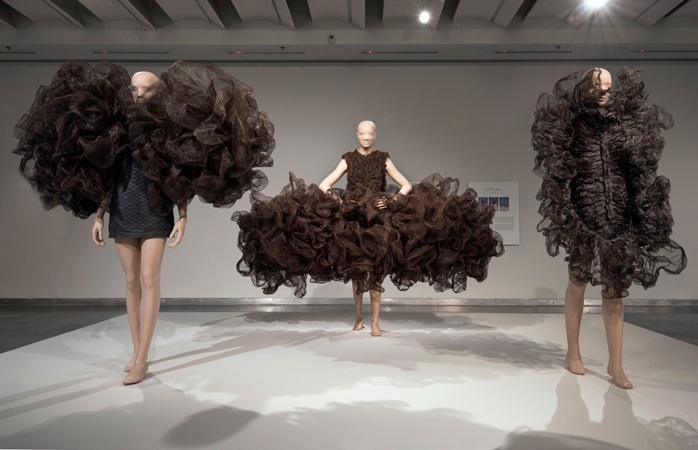 The museum itself was surprisingly small but well worth the trip to catch New Couture by Iris van Herpen, an extensive solo exhibit of the Dutch fashion designer's work. 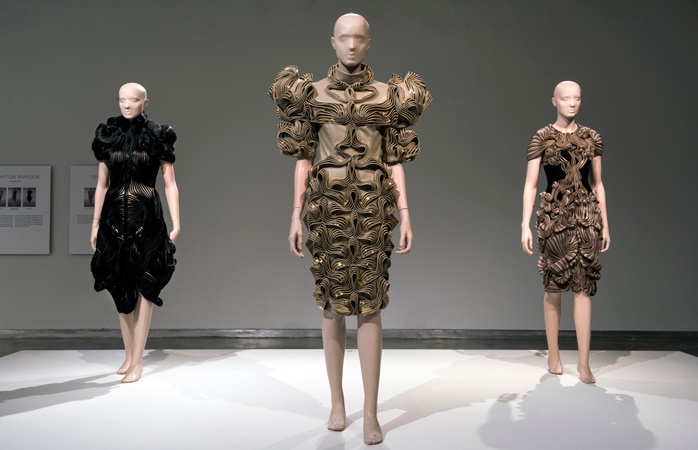 Having trained under Alexander McQueen, Van Herpen certainly shares the Brit's flair for the dramatic, with sculptural garments that serve more as fine art than functional fashion. 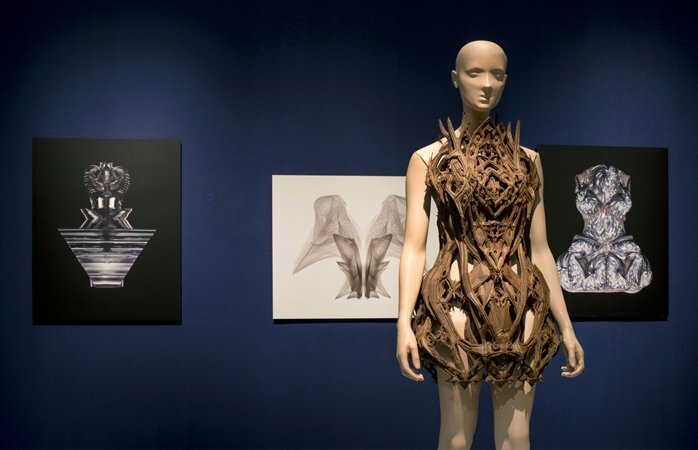 Heavily influenced by 3D printing technology, Van Herpen combines traditional craftsmanship with innovative techniques and incorporates such unconventional materials as synthetic boat rigging and umbrella whale bones. 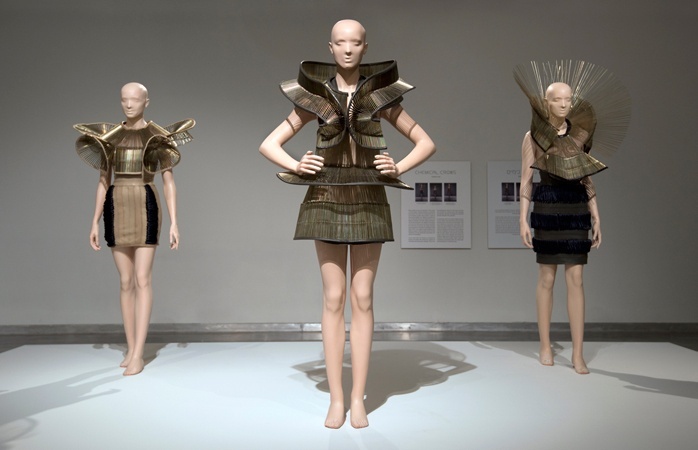 The results are at once futuristic and organic, highly unwearable and totally covetable. 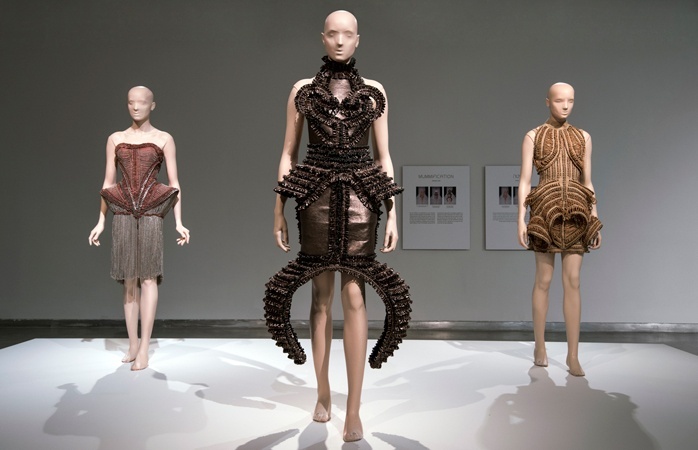 Spanning two galleries worth of space, New Couture covers van Herpen's career from the launch of her eponymous label in 2007 to present day. 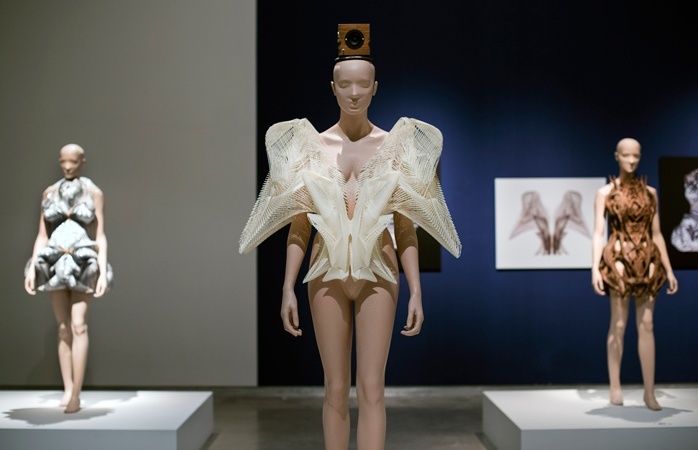 Each collection weaves its own narrative, like 2010's "Escapism," which interprets an escape from reality through digital entertainment with a 3D printed lace-like material and winged garments. 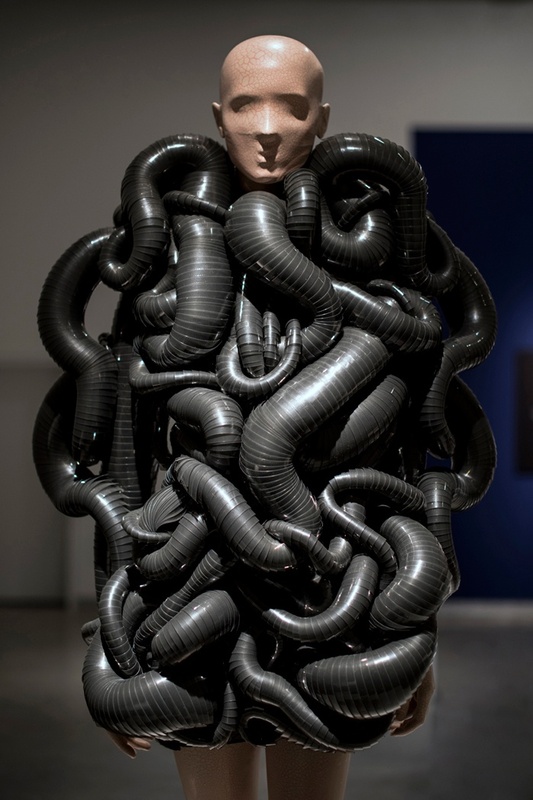 Or there's 2012's "Refinery Smoke," which captures the elusiveness of industrial smoke in voluminous clouds of metal gauze. 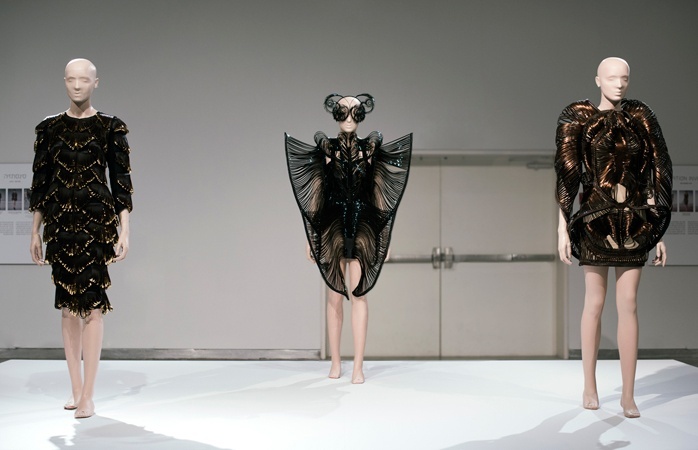 If you want to catch a glimpse of all this outrageous brilliance, you'll have to act quickly. 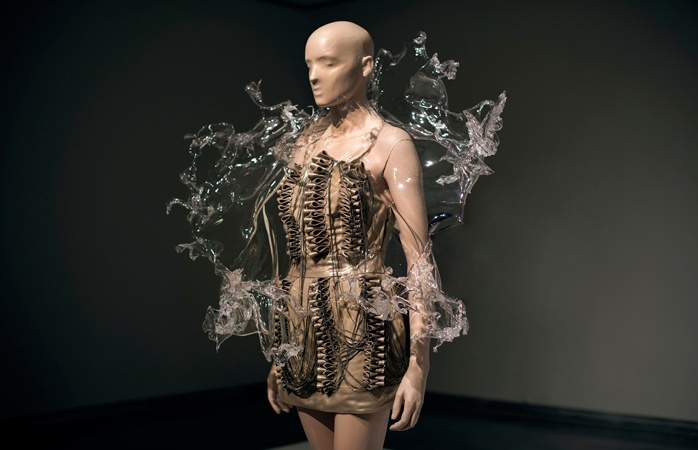 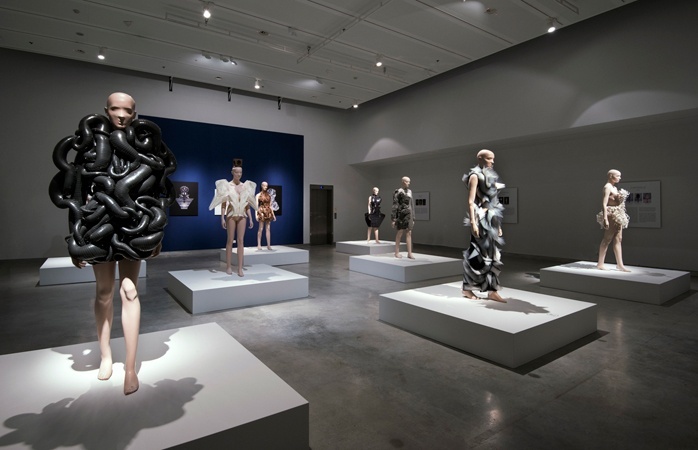 New Couture by Iris van Herpen closes at Design Museum Holon on March 7.